This piece on lengthening the life of your vinyl fence was written by freelance contributor Sally Perkins. Investing in a good vinyl fence offers a great return on investment if you factor in the low cost of maintenance and longevity. Installing a fence on a quarter acre lot will typically cost between $1,800 and $3,500, according to the Remodeling Costs website. This price will ensure you not only have enough privacy but also enjoy a great curb appeal. However, the price will vary from one fencing material to another and will depend on the fence size you wish to install. The initial cost should not be the only aspect that you pay attention to. For instance, while most vinyl fences might be more expensive to install than wood fences, they are typically cheaper to maintain. With the right maintenance schedule, you can get to enjoy the appeal of your fence for many years. In case you’ve chosen to have a vinyl fence installed in your home, there are a few things you need to know. There are plenty of aspects that make vinyl the perfect material to use for fencing. First, the materials used in the fence can easily be recycled which is a win for the environment. Vinyl is also resistant to moisture and humidity, unlike wood fences. This means that it will easily survive the winter, and you don’t have to worry about pouring water on it. The fence is also strong, meaning insects cannot eat their way through it. When combined, the above factors make maintaining the fence pretty easy. 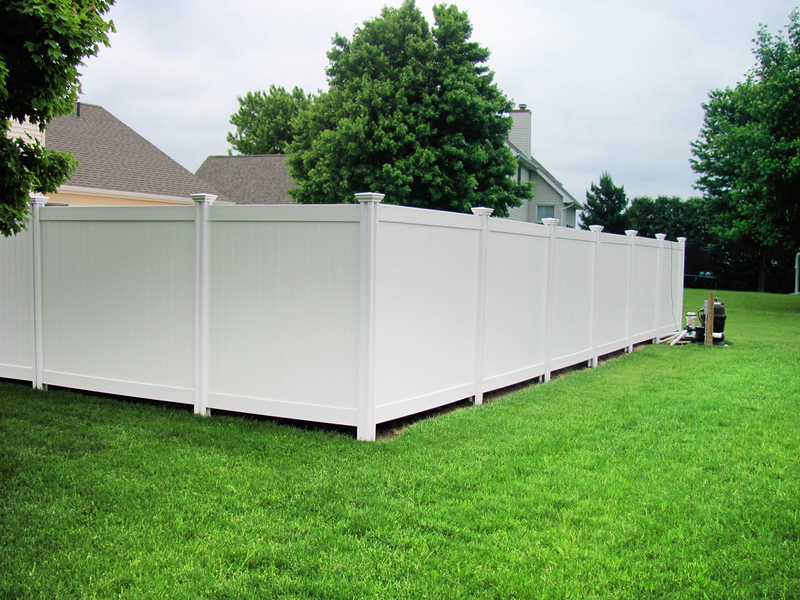 Now, the key question is: in what ways can you best take care of a vinyl fence? 71% of home buyers consider the curb appeal as an essential factor when it comes to shopping for the perfect home. Even though you might not be willing to put your home up for sale, the quality of your fence may affect the value of your home significantly. Cleaning your vinyl fence at least once a year is essential to maintain its appeal. For the slightly dusty parts, washing the area with hose water will do the trick. As for the areas that have a little bit tougher stains, use a mild detergent and some warm water to clear them. In case you notice mildew developing on your fence, wash the affected area with a mixture of warm water, detergent and vinegar to reduce the levels of mold infestation. What about managing the structural integrity? Inspecting the structural integrity of your fence at least once a year is wise. Pay attention to the state of parts like the metal connectors of the fence. Hidden metallic connectors will typically connect the parts of your vinyl fence. In case these parts become visible, then you should request the installers to take a look at the fence. However, if you notice such inconsistencies within the first few weeks of installation, then filing a complaint against the installers is wise. Additionally, be careful when mowing close to the fence or else you might harm it in the process. For instance, using a weed trimmer that uses a line rather than a blade will prevent any damages that trimming close to the fence could present. Each aspect of your home contributes to its overall appeal. A vinyl fence is only but a small part of your whole home. However, occasionally maintaining it will accentuate the other areas and save you the cost of replacing it.